i am grateful to have fallen back in love with cooking and baking. it's been a while since i have wanted to do anything in the kitchen- my intentions were always good, but takeout and easy salads seemed to reign in our house over the summer. 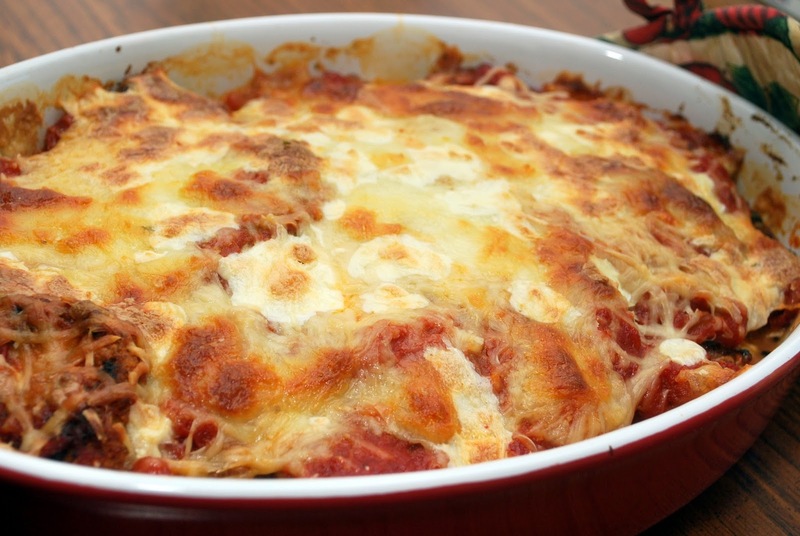 the other night i made a favourite dish of mine - eggplant parmesan, but changed it up a bit and made it into a casserole. the results were pretty much magic and a great segue into a winter happily spent in my kitchen. slice eggplant into 1/4" thick slices. generously sprinkle with kosher salt and place in a colander. repeat and stack all slices. let sit in colander in the sink for 30-60 minutes. the salt helps draws out excess moisture. remove from the colander and place eggplant on clean dishtowels or paper towels to absorb left over moisture and remove any excess salt. in a large skillet, cover bottom with a generous amount of oil. heat over medium high heat. in a shallow bowl, whisk eggs and milk together. in a second shallow bowl, lightly mix breadcrumbs and flour together. take eggplant slices and dip in the egg mixture followed by breadcrumb mixture. place in skillet once oil is hot. cook eggplant until soft and golden on both sides. remove and place on paper towel to absorb excess grease. you made need to do this in a couple of batches depending on the size of your pan. while the eggplant is cooking, add a splash of oil to a large saucepan over medium heat. add onions and toss until translucent. add garlic and continue to cook until just starting to brown. dump in chopped tomatoes and mix around until the tomatoes start to soften. add vegetable broth (i just wing this - add more or less depending on your desired wateriness) and a splash of balsamic vinegar. add basil and salt and pepper to taste. simmer until the sauce starts to thinking and tomatoes start to really soften up. around 15 minutes. grease a small oven safe dish- a pie plate or half casserole dish would be perfect. spread a bit of the sauce mixture on the bottom of the dish. top with a layer of the fried eggplant and then sprinkle with cheese. add more sauce, another layer of eggplant, cheese etc... continue until all sauce, eggplant and cheese is used, ending with a layer of cheese on the top. bake for around 20 minutes. let cool for a few minutes, serve with a giant green salad and enjoy! A few notes: in a pinch, you could swap out a jar of tomato sauce for the homemade version described above, but its seriously so yummy. i make it all the time to use with pasta or arancini or pretty much anything that needs cooked tomatoes. Also, you could bake your eggplant in the oven instead of pan frying for a healthier take on this recipe.